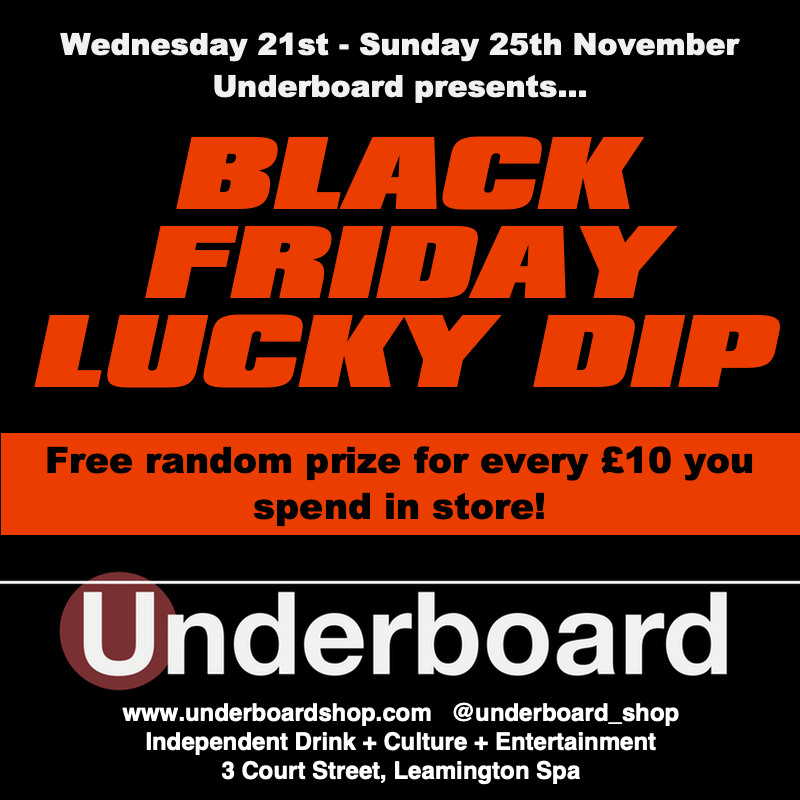 Celebrate wild and unfettered capitalism with the return of Underboard's fabled lucky dip - not at all cynically timed to coincide with the festival of consumerism that is Black Friday. From noon on Wednesday 21st until close of play on Sunday 25th, for every £10 you spend in store you will get to draw a ticket, this ticket will guarantee you a prize from a wide selection of cool items lurking behind the counter, there will be books, games, films, art, badges and other ace stuff ready to be won. So spend £20 and get two free things, spend £50 and get five - you get the idea: the more you spend the more free stuff you walk away with. If you want to plan ahead - you can check out a whole load of the stuff we have available via our web store. NOTE: This promotion is for in-store sales only.